We picked such a perfect day and gorgeous location for this maternity session. Scripps pier is a location that many photographers enjoy photographing due to its beautiful light! You can see why below! It also helps that my wonderful model Lindsey wore this beautiful aqua/blue dress to accommodate with the soft light this beach has. We had a fun time wandering around the beach and climbing up rocks to get photos. Lindsey brought her daughter along to the shoot, and since Lindsey is a photographer herself, her daughter was definitely not new to being in front of the camera. 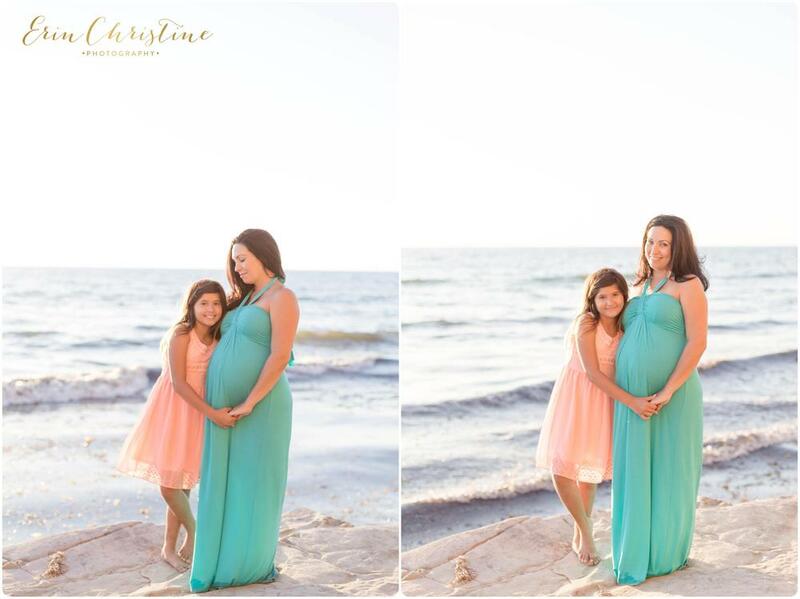 With Lindseys husband being away in the military, we're hoping these photos of her pregnancy will send some love his way as the days are getting shorter and he can be reunited with his family. I'm excited as you spend your last weeks waiting for your little boy to arrive and add one more member to your family!